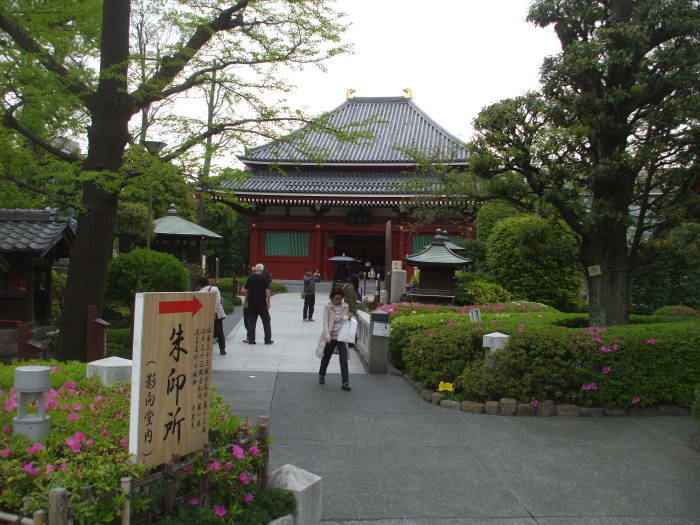 Yōgōdō is a small hall just to the west side of Sensō-ji. 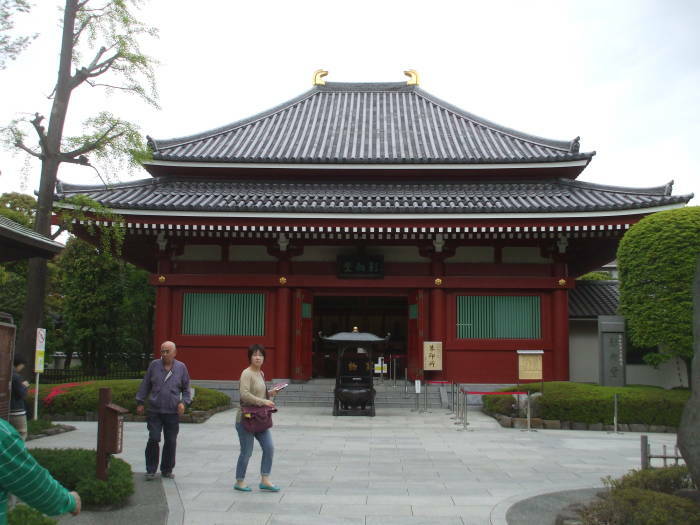 You can get a goshuin, a temple seal stamp commemorating your visit. 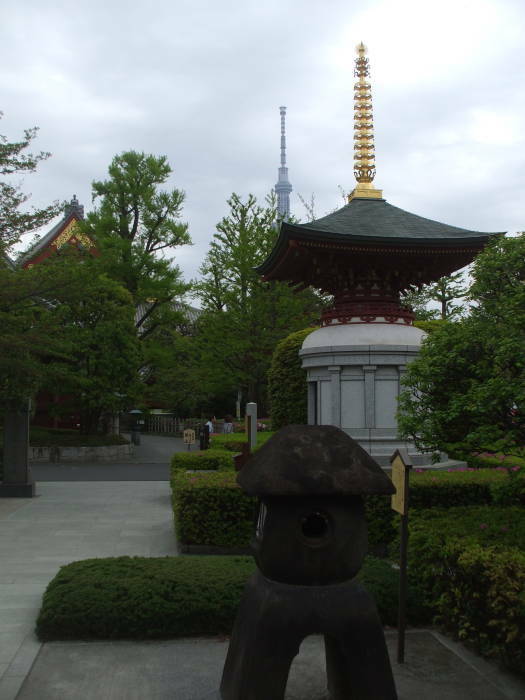 Behind Yōgōdō is Yakushido, where you can see the Yakushi-nyorai Buddha statue. 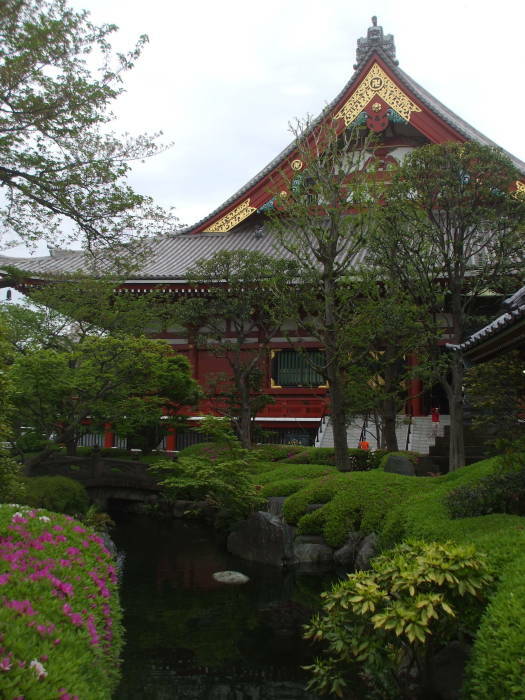 Yakushido was built about 1670, making it one of the oldest buildings in the Sensō-ji complex. 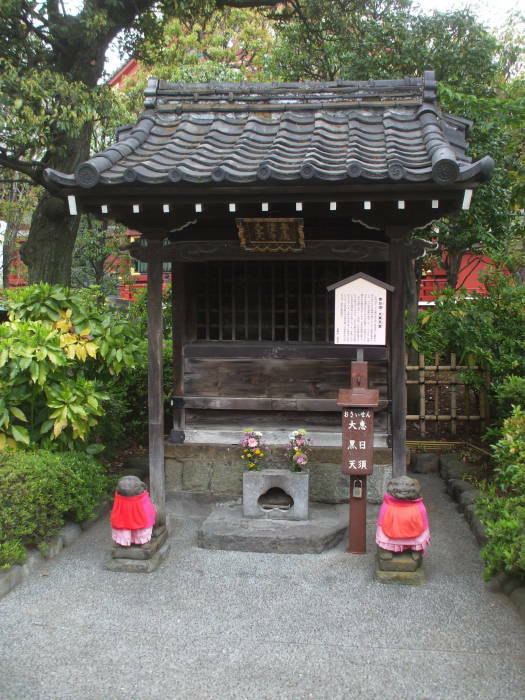 Beyond Yakushido is Awashimado, a Shintō shrine where Amida-nyorai and Awashima-myojim are enshrined. 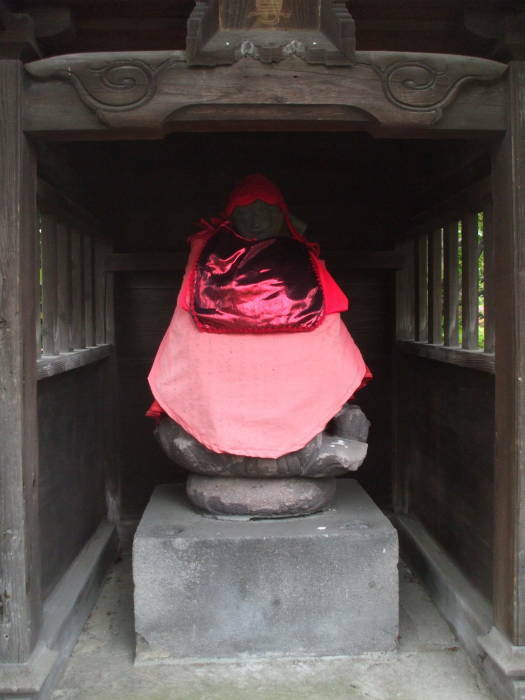 Jizō was known in the original Sanskrit as Kṣitigarbha, meaning "Earth Treasury". A fuller form of his name, "Bodhisattva King Kṣitigarbha of the Great Vow", is Daigan Jizō Bosatsu in Japanese. As a bodhisattva he vowed to instruct all beings in the era from the death of the historical Gautama Buddha until the arrival of Maitreya. He is one of the four principal bodhisattvas in East Asian Mahayana Buddhism. This has led to Jizō being considered in Japan as the patron deity of deceased children and miscarried or aborted fetuses, and the guardian of children. Japanese mythology says that the souls of children who die before their parents are not able to cross the mythical Sanzu River on the way to the afterlife, as they had not had the opportunity to accumulate enough good deeds. They would have to pile stones eternally on the banks of the Sanzu River as penance, but Jizō saves them. Jizō's iconography typically depicts him as a monk with a halo around his shaved head, carrying a Cintāmaṇi, a wish-fulfilling jewel that lights the darkness, and a staff to force open the gates of Hell. He is usually standing on a lotus base, symbolising his release from rebirth. Bodhisattvas are typically depicted dressed like Indian royalty, but Kṣitigarbha/Jizō is in a monk's simple robe. People sometimes make a pile of small pebbles by a Jizō statue in the hopes of shortening the time children have to suffer in the underworld. This is derived from the tradition of building stupas to gain merit. 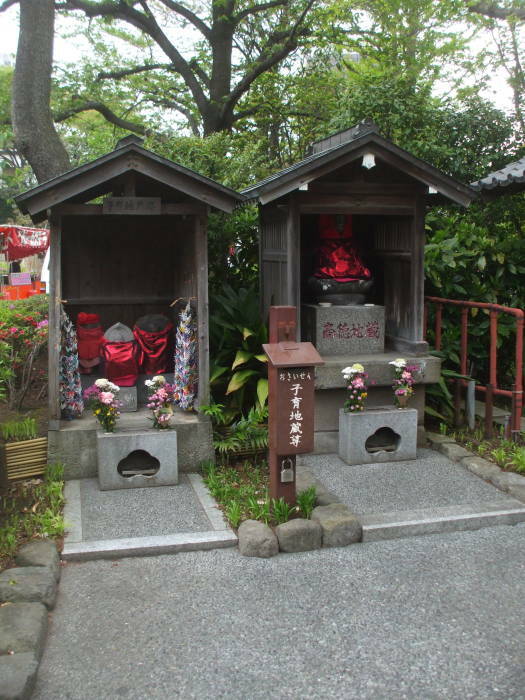 The red bibs and caps may be put there by grieving parents, or by parents thanking Jizō for saving their child from a series illness or injury. 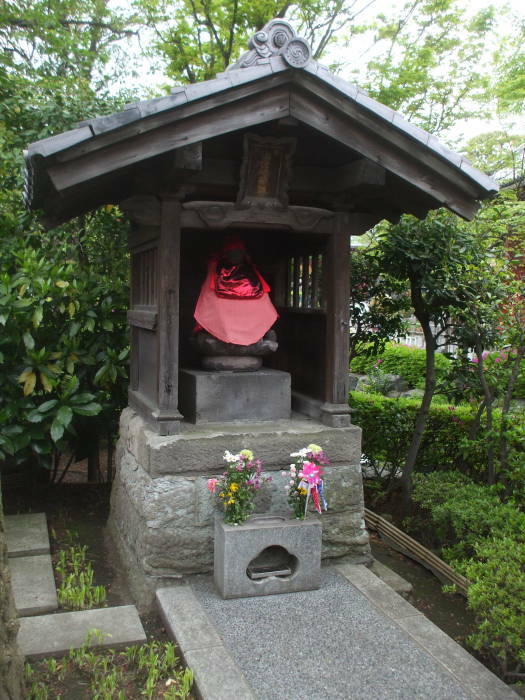 Jizō is also seen as a protector of travelers and firefighters. The small pagoda mirrors some of the design details of the much larger five-storied pagoda.